Hanoi (VNA) – The number of dengue fever cases dropped last week but is still high, said Tran Dac Phu, Director of the Preventive Medicine Department under the Health Department at a meeting on August 31. During the week ending on August 27, 6,292 dengue fever cases were reported, down 11.4 percent over the previous week. No deaths have been recorded since August 14. According to the Preventive Medicine Department, since early this year, 108,925 dengue fever cases have been reported, with 26 deaths, a rise of 43.5 percent in the number of cases and seven deaths higher than the same period last year. The virus was mainly found in the southern region which accounted for 51.2 percent of dengue patients. Hanoi is the leading locality with highest dengue fever cases. 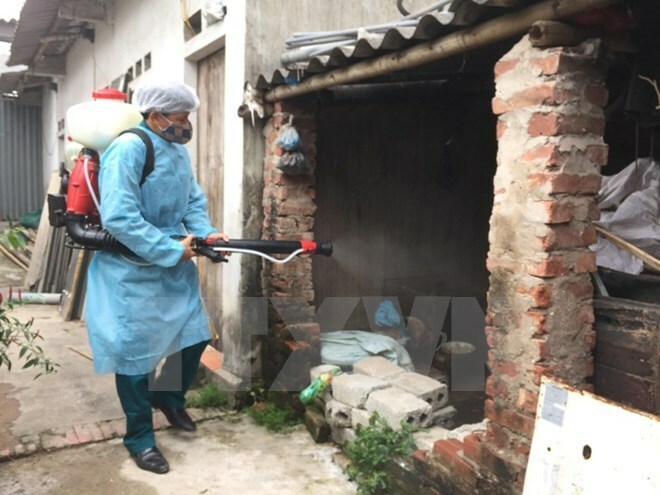 From January 1 to August 28, 22,296 people caught the virus, with seven deaths, mostly in Hoang Mai, Dong Da, Hai Ba Trung and Thanh Xuan districts. Nguyen Van Kinh, Director of the Central Hospital for Tropical Diseases, revealed that the number of people coming to the hospital for dengue fever test was reduced by a half to about 350 per day.